I don’t know anybody who isn’t ready for spring at this point. I love all seasons, but I am getting really worried about winter and what it’s going to do not only to my house (ice dams) but my plants! 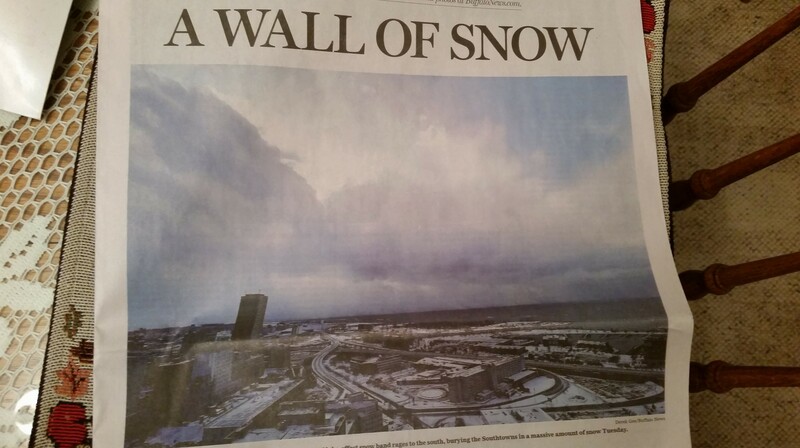 I fear that being buried under 4 feet of snow is going to result in some major damage. From what I can still see, I have some major Winter Burn, and I already know I have lost quite a few plants. I think it’s pretty safe to say that I have my work cut out for me as soon as the snow melts! So, let’s start with the basics so we can get a better understanding of typical damage done to our gardens due to winter, and the approach we should take with each of these perils. Depending on what part of the country (or world) you live in, many people are have experience some major icing that has coated the trees and shrubs in your yard. Ice is the most damaging and most dangerous winter peril, in my opinion. So what if you have a tree with broken branches in your yard? Unless it is a major danger to you and your house, DO NOT try to prune it. Pruning a broken branch or shrub with ice on it could cause more damage to the plant than you think. Wait until spring to start cutting it back to stimulate new growth. This has also been referred to as desiccation. 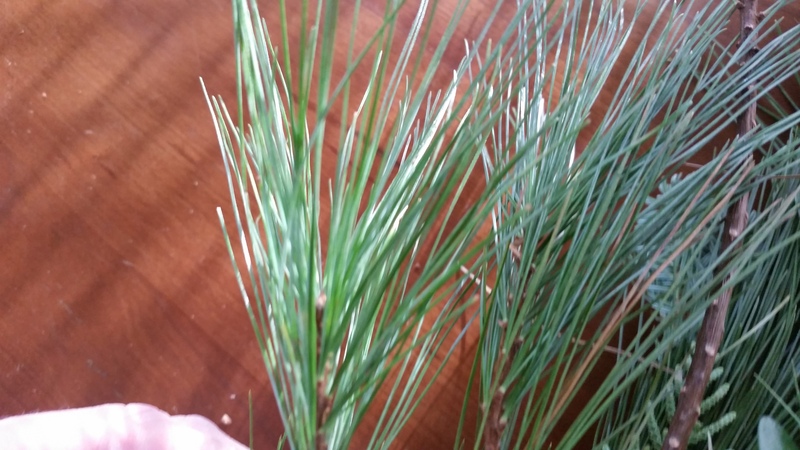 Evergreens are the most susceptible to this, including my own Emerald Green Arborvitae, which I have mentioned in my posts before. I had purchased two small arborvitae in the Fall of 2013, and I noticed this fall that the one had turn completely brown, as if it were dead. 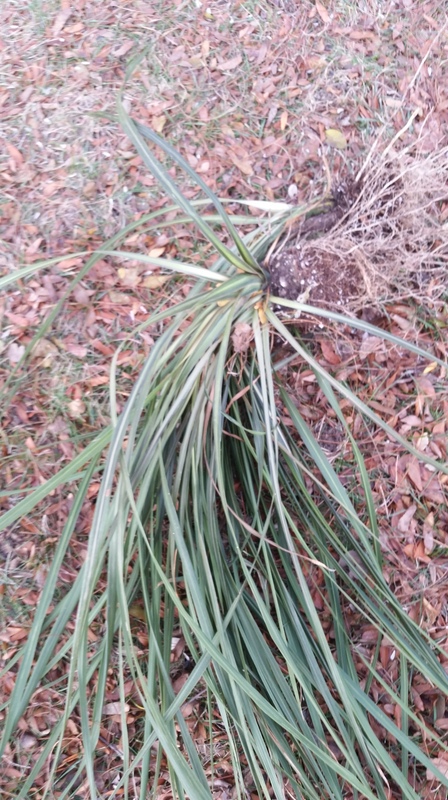 Winter Burn happens when the plant has not received enough water in the fall to sustain itself through winter. And interestingly enough, your plants don’t stop losing water during the winter, either. 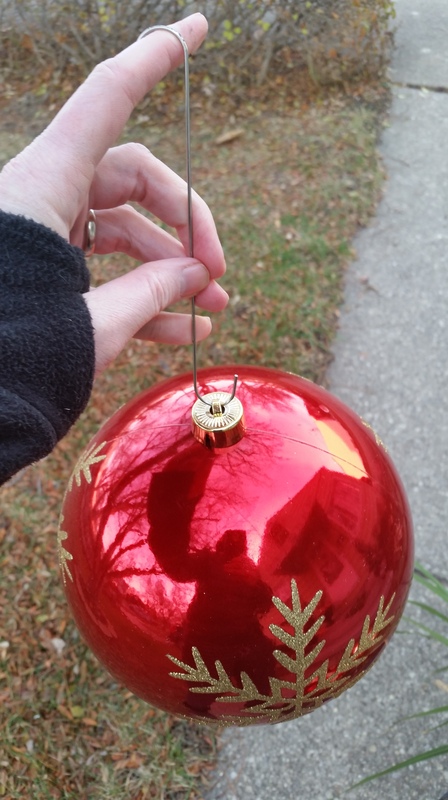 You can try to see if it will come back on its own, or you can just remove it during the spring. 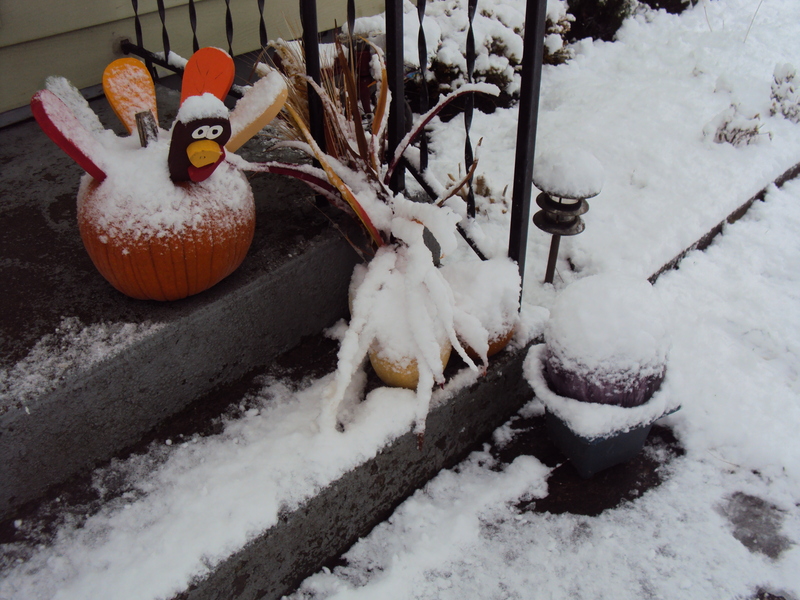 Even just a regular winter takes a lot out of your plants. I have said this before, I know my biggest weakness with my garden is not watering enough. Another lesson learned! In the past, I have mentioned my never-ending struggle with my “deer” friends. Deer aren’t the only ones to cause some major damage to your landscape. Rabbits, moles, voles and mice can also do some work on your plants. The only thing you can do with animal damage is just wait let it go and allow for nature to heal itself, and prepare better the following year by covering and fencing in the plants you know animals like to target. As I have depicted many times, most people in the Eastern US are dealing with historic snowfall and sub-zero temperatures. 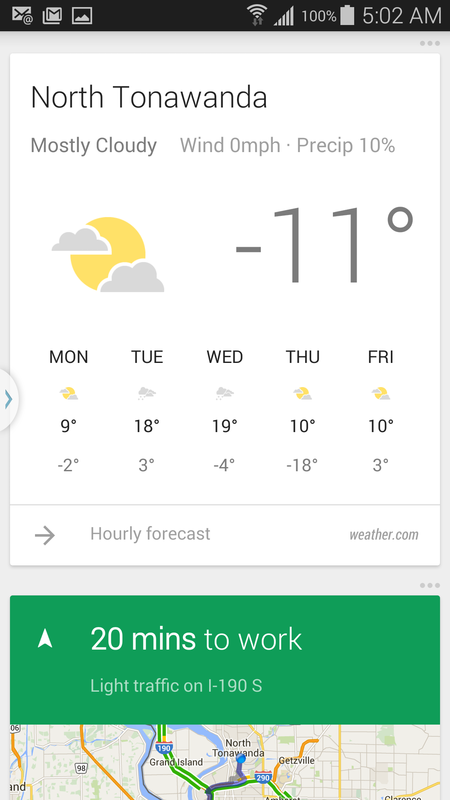 This is the coldest I have ever seen it in the Buffalo Metro area. With over 4 feet of snow in your yard, you cannot do anything to help your plants. 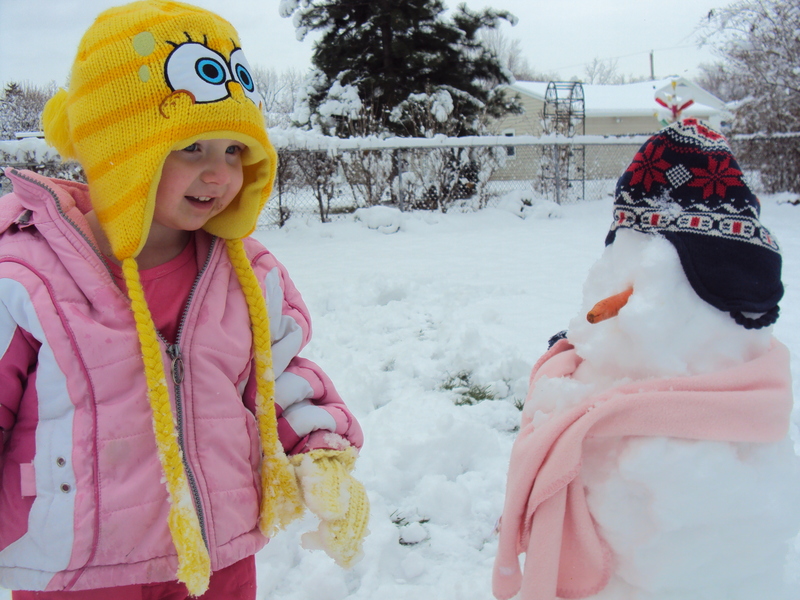 In fact, trying to help them with that much snow will only harm them. 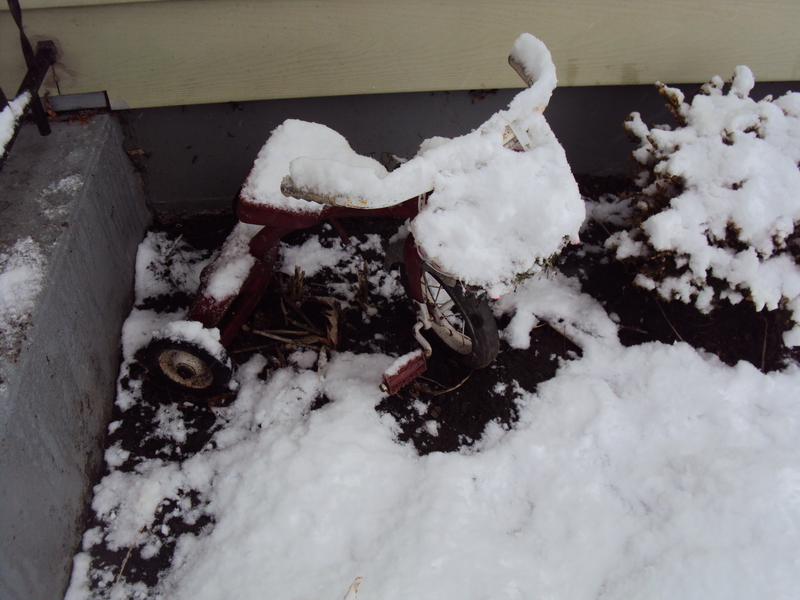 Your perennials that go dormant every year should not be harmed at all, even if they are buried in snow. It’s really hard to harm a plant that has established itself in your yard. Don’t worry about what you can’t control–it’s not worth it. 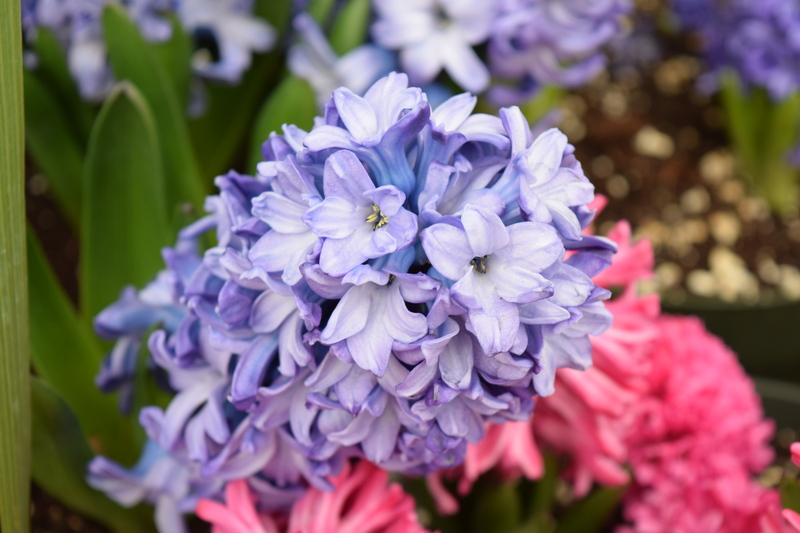 For the most part, there isn’t anything that cannot be fixed in your garden without a little time and patience when spring comes. “Live and Learn” comes in to mind when you are experiencing a particularly brutal winter, as most of us are this year. None of us have even come close to dealing with weather like this before, so the more we learn this year, the more we will be prepared for the next bad winter! 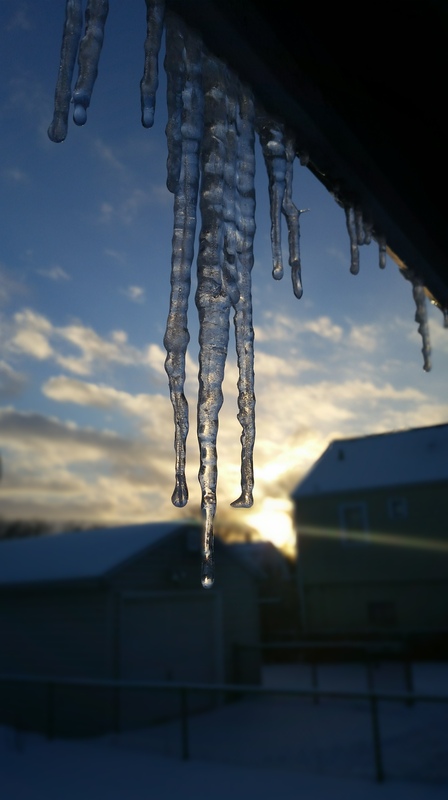 A couple of weeks ago, before we had 3 feet of snow burying the back yard, I was playing outside with my daughter after work when I saw these icicles on the side of my patio. I loved how the dusky sun in the background looked so nice with it. Enjoy. Here it is, the last week of January is upon us. 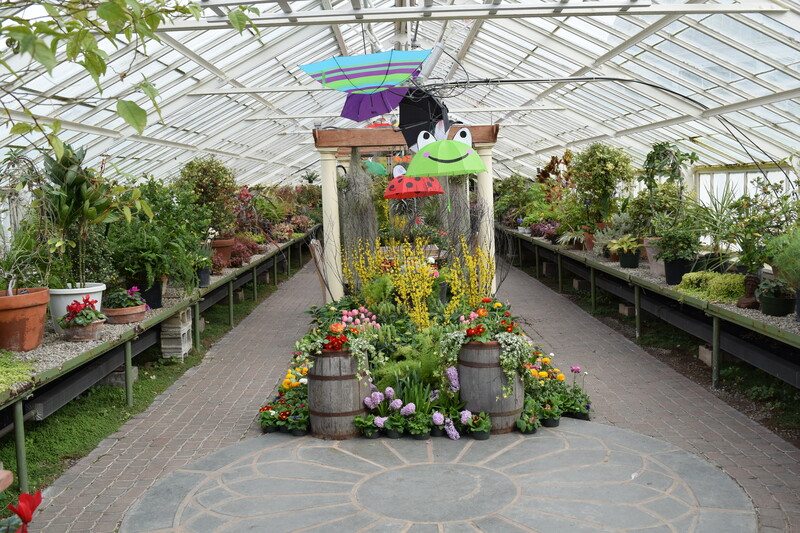 We are pretty much half way through winter, so lets hope the ole’ groundhog gives us a break this year and predicts that spring will come early! 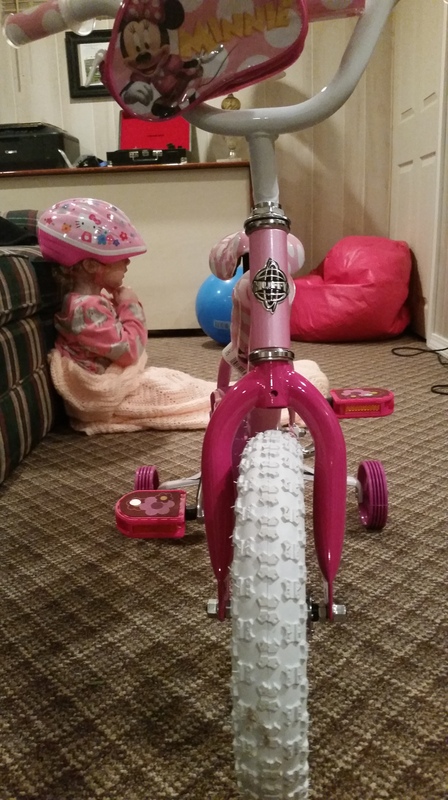 By this time of year, we are all getting cabin fever, heck even my daughter is getting sick of riding her new bike around in circles in the basement. She’s ready for the rubber to meet the road! After a wild and crazy Saturday night of learning to ride our new bike, it’s finally time to take a rest. 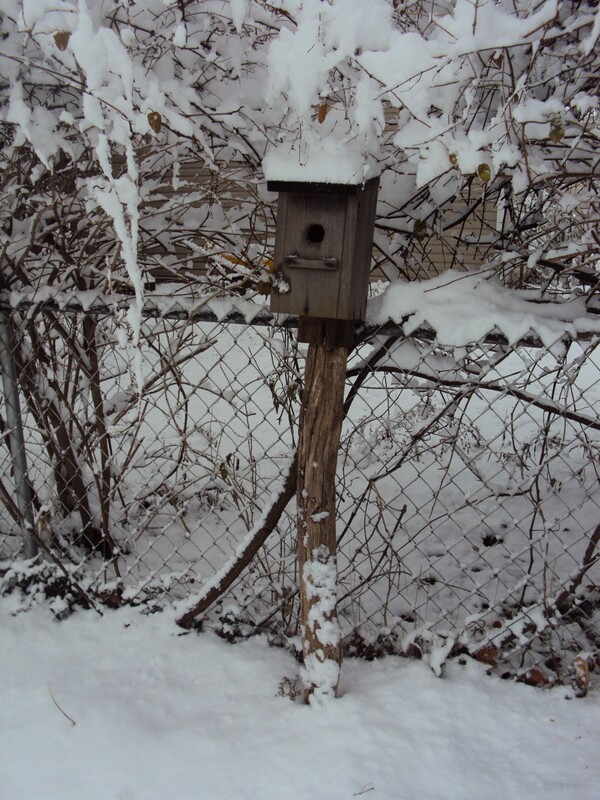 It’s also time to check in and see if I am practicing what I preached way back when the snow started to fly. Well, I am very proud to say that I am now underway. So here’s a little round-up of what’s been keeping me busy in my world. 1. I am looking at seeds. 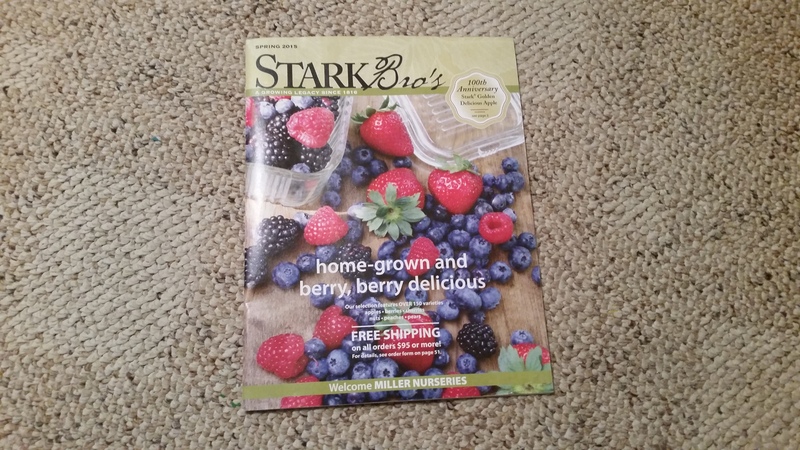 Yes, now is the time to purchase your seeds to get a jump-start on your growing season. Whether you are going to start your veggies, herbs or some of your favorite flowers, this is the perfect time to purchase them. Why? Because the stores and nurseries are freshly stocked and you will get everything your little heart desires!! 2. I have been putting the pen to paper. I love words. 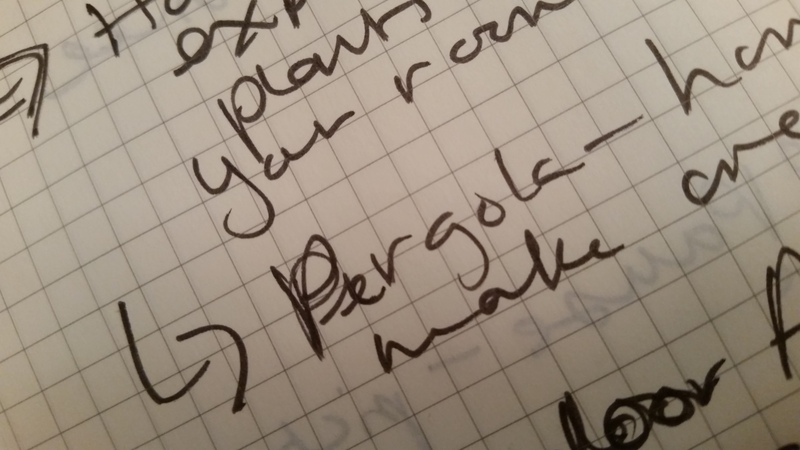 My life’s work is putting pen to paper. I do it in my job, but I have also been journalizing since I was very young. I currently have four different journals. One of those journals is my garden journal. It has all my musings in regards to my gardens, yard and what I want to do with it all. Nothing better than a Moleskine. Or two. 3. 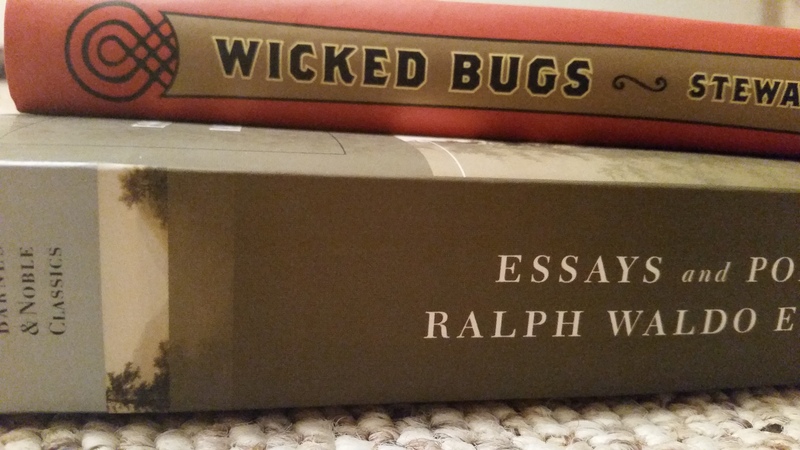 I purchased some new books. I remember a time, oh, about ten years ago, when all I did was work, exercise, and read. My love of words never died, it just went on vacation for a few years. I could read at least a book a week at one time. Now, it’s one a year! That’s life for you! But now, things are changing where I can now devote more time for reading and researching than I could before. My time management skills are getting much better the older I get. So, I have some really great books that I will review in the not so distant future, and I am excited to dive in to them. 4. I am getting dynamic inspiration. This was the year I promised I would get back to being “me”. I took a few years off of being “me” to devote fully to being “mommy”. Before I became a mother, I always worked towards being dynamic. I always wanted to know a little bit about most things just so I would always be able to carry on a conversation with anybody I met. This thinking too, has contributed to the inspiration I get for gardening. It’s amazing the cool things you can think of when you look at the bigger picture! 5. I have been getting outside. Yes, I have been able get outside a lot more than I have in the past few years, and it has made an incredible difference. I feel more at peace, and get such great joy with walking about the woods in snowshoes, cross-country skiing, or even walking. It’s amazing the effect nature has on you. So, I guess that’s it in a nutshell. Just a little bit of what I have been working on, and hopefully it will all translate into a great, inspirational, and productive growing season! 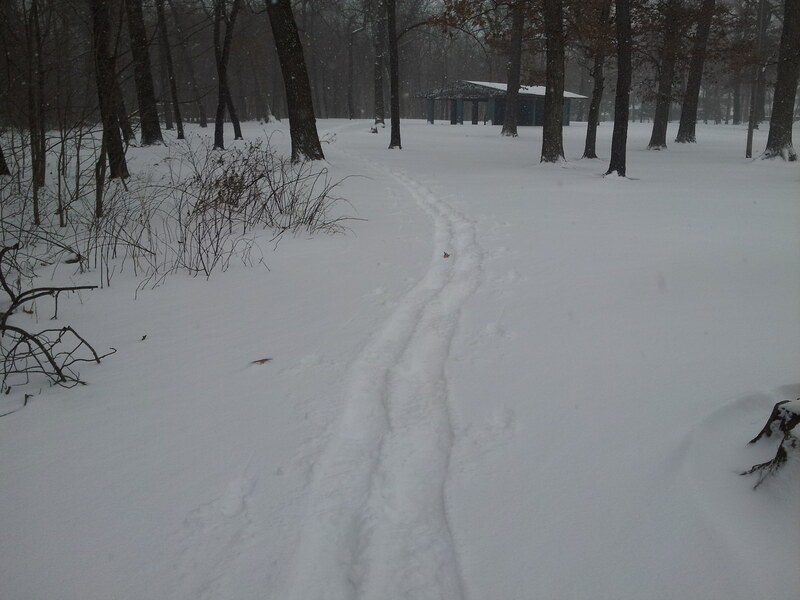 On Saturday afternoon, I took advantage of the opportunity to do some snowshoeing while my daughter took her nap. 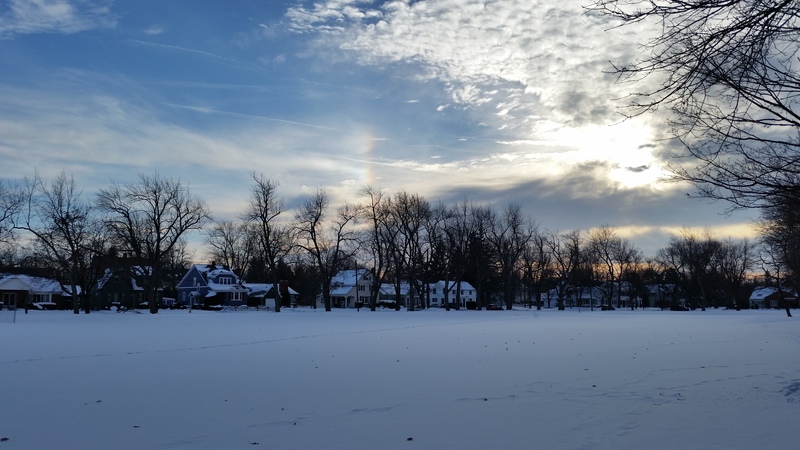 As I lapped the little park I have all of my winter fun in, I noticed a small rainbow in the sky. It’s a special treat to see a winter rainbow, mainly because you don’t associate rainbows with winter. It takes you back to warm and rainy summer days that we are all longing for at this point in the season! Enjoy. A small rainbow in a dusky sky made my day! It’s been awhile since I have had a chance to post a “Natural Pause”! 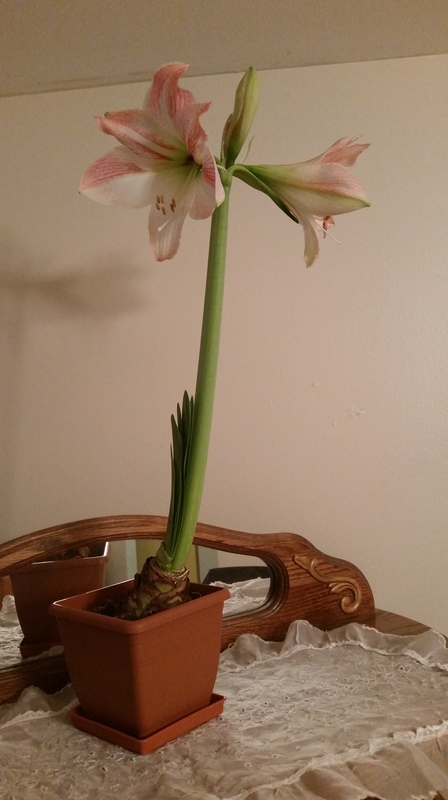 I just wanted to update you on my Amaryllis that I potted from the kit that I purchased a few weeks back. It has bloomed! And quite fast at that! I was very nervous about this actually blooming, but according to the directions, it’s actually ahead of schedule! What a beautiful plant to brighten the long days of winter that include sub-zero wind chills and lake-effect snow! Here it is in all its glory! Enjoy your day! This little Christmas tree stand on the canal right down the street looked so pretty with the snow we received last week! A couple of weeks ago, I purchased my first indoor plant kit! 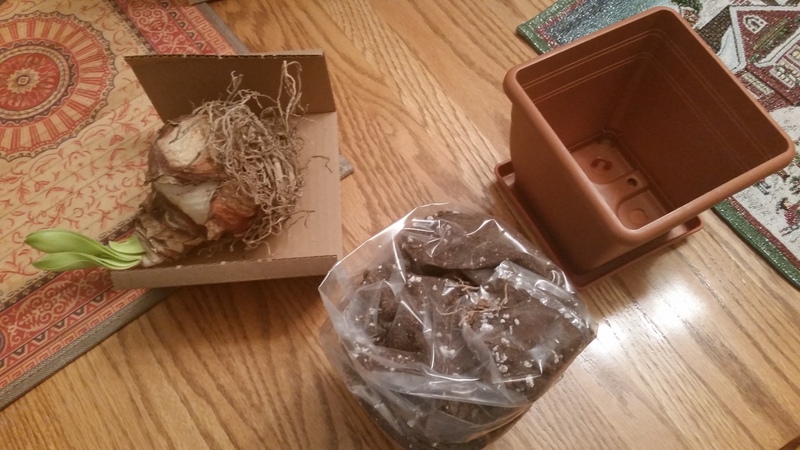 You almost always see indoor plant kits/bulbs at the holidays. 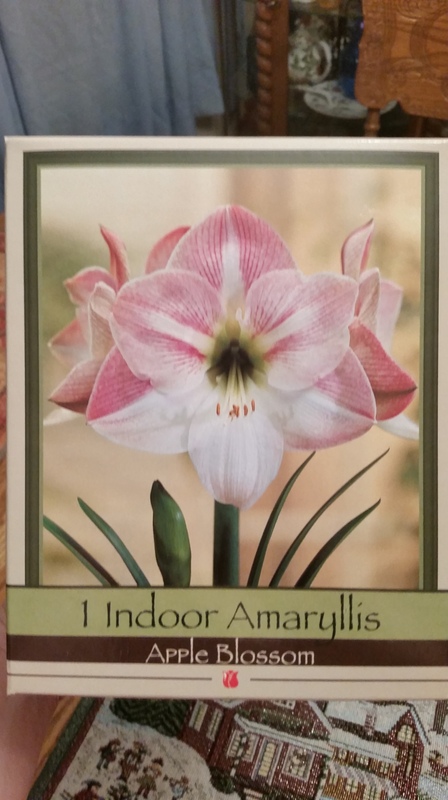 Two of the most common and popular are the Amaryllis and Paperwhites. 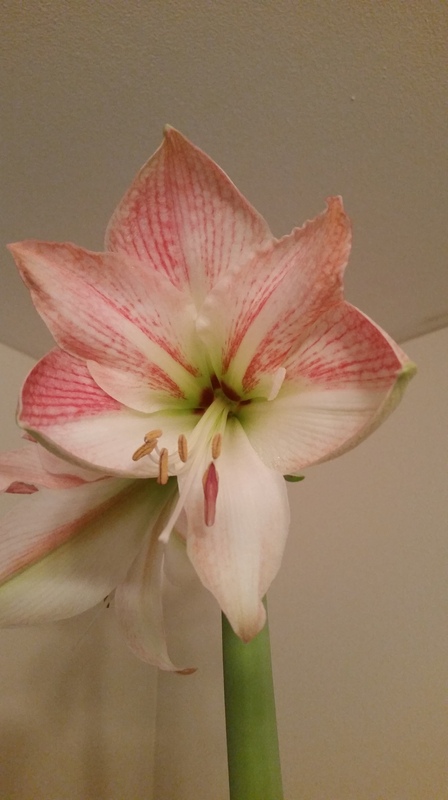 Amaryllis are big, beautiful plants that are most generally grown inside. They are said to bloom quickly and easily. Hopefully, mine will as well! Paperwhites are small, beautiful delicate flowers that are, well, white. 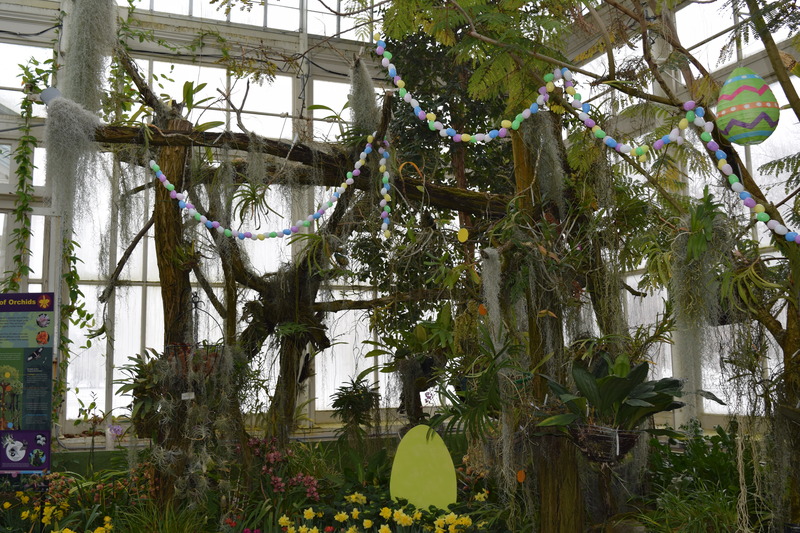 Both of these plants are very popular indoor plants that brighten up the long, dreary days of winter. Now this is a kit and was extremely easy to put together. All the instructions are on the backside of the box. You have your bulb, potting mix, pot and saucer. 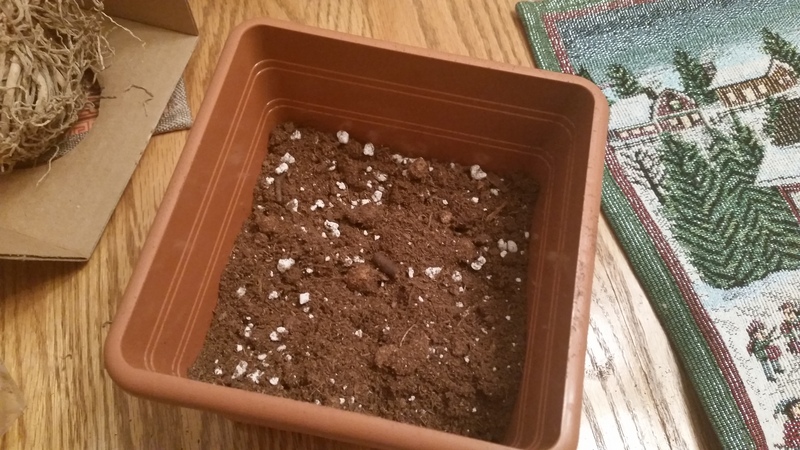 Start by putting two inches of the potting mix in the pot. 2. Place the bulb in the pot and spread out the roots. 3. 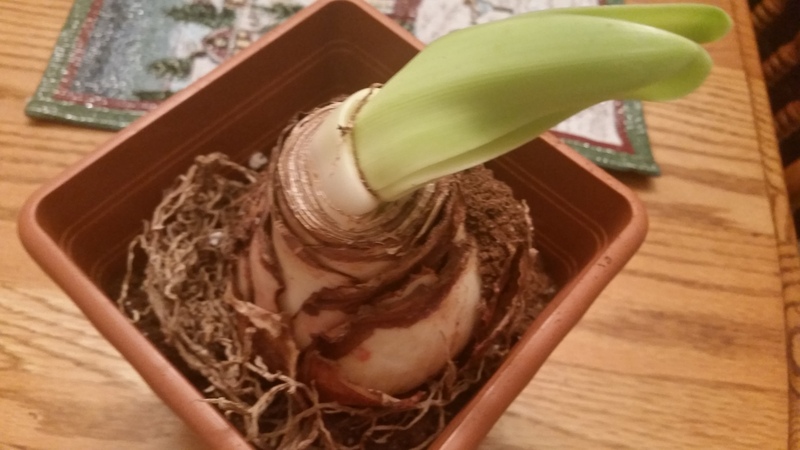 Take the rest of the potting mix and place around the roots of the bulb. Make sure that the top 1/3 of the bulb is exposed. The exact reason why I need a potting soil scoop! 4. When you are done, make sure water it first with lukewarm water, and then place it in a sunny spot in your house. Make sure to keep the soil moist– do not over water. Your plant should bloom within 6-10 weeks. Enjoy, and take good care of it! I love getting Poinsettia for family members, and myself, for Christmas. I really like the ones you can get in the grocery store that are purple and full of glitter! They are actually a very interesting plant with an amazing history. 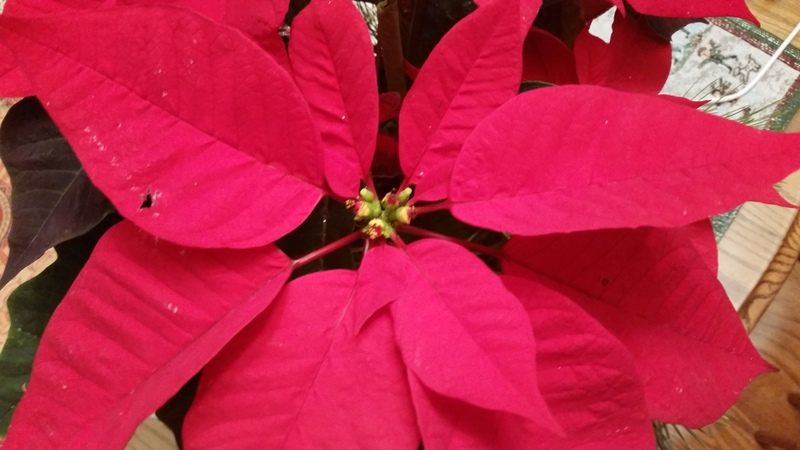 Here are some fun facts about this beautiful holiday plant! They are native to Mexico and Central America— they are actually shrubs/trees that can grow up to 13 feet tall in their native environment! They are NOT poisonous— contrary to popular belief, they are NOT poisonous to your pets, though if your cat or dog did get a hold of leaf, they would have minor gastrointestinal problems. So, be sure to keep them out of reach! 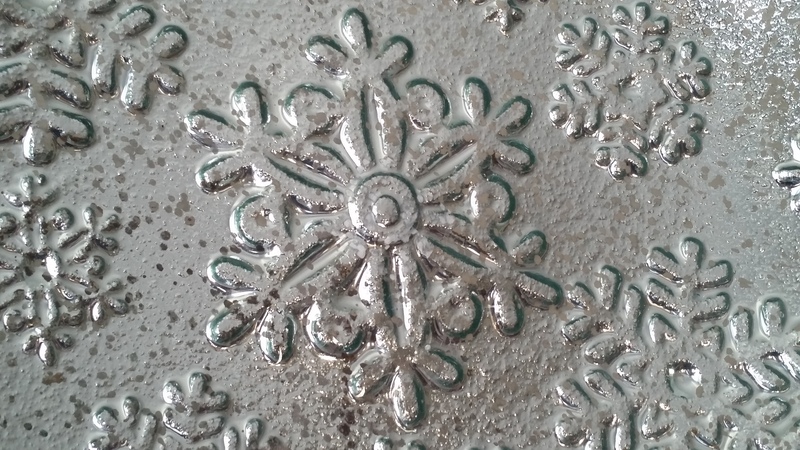 It became associated with Christmas in 16th Century Mexico— the star-shaped leaves are said to symbolize the Star of Bethlehem. I wish everyone a wonderful holiday season, and cheers to a great new year in the garden ahead! Now that my Christmas shopping is pretty much done, I can sit back and breathe a sigh of relief that I am two weeks ahead of the game. That’s a first for me! I am now going to sit back and enjoy what’s left of this holiday season. Now that the gift buying is complete for everyone else, you can actually stop and think about what you would like Santa Claus to bring you! What does someone get for a gardener? A bucket of dirt? A packet of seeds? There is just the right gift for every level of gardener out there–amateur to master. Here are few ideas for gifts for every type of gardener on your gift giving list! Watering Can— some of the most beautiful gardening supplies I have ever seen are a simple watering can with great design. Gardening Gloves— being a country girl, you were considered a wuss if you wore gardening gloves. I have since learned that gloves come in very handy when pulling weeds. You can pull twice as many with gloves on! 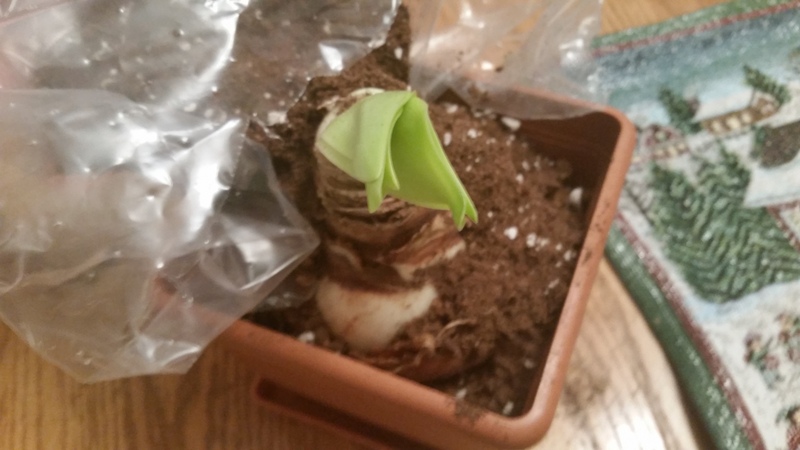 Knee Pads— as I stated in an earlier post about planting spring bulbs, my knee pad saved my life. You can also buy knee pads that attach right to your knees. 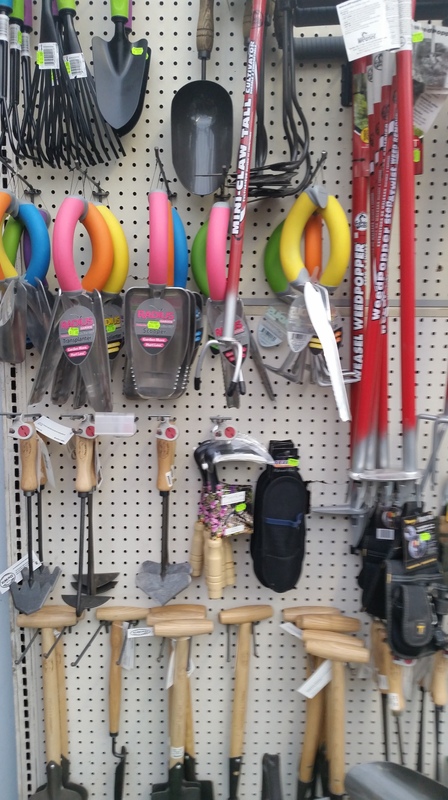 Gardening Tools— just the basics. Just get them a “digger” and call it a day. Planters — the more you garden, the more you want to plant more stuff. There are beautiful planters out there to go with any decor. Seeds— you would think an Amateur would like this, but in all actuality, they are still very new to gardening, and they would think seeds would be a lame gift. Now, for the seasoned gardener, this is like striking gold. The less you need to pay for, the better! Garden Decorations– garden decorations of any kind will make any seasoned gardener jump for joy. Gnomes, snails, mushrooms, bird baths– bring it on! Soaps, bath oils, etc. –– if I have been out digging in the dirt without my gloves on, I notice that my hands get really dry. 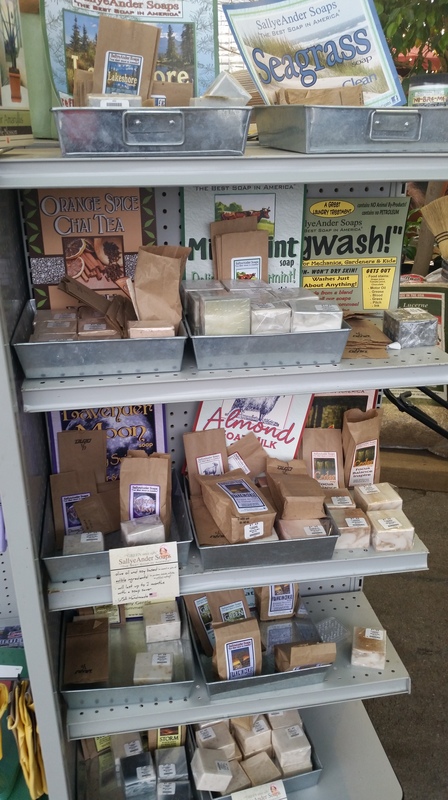 There are many beautiful soaps, bath oils and salts that restore and rejuvenate your body from all the hard work you put in to your garden that day. Copper-Plated Tools — actually, I wouldn’t mind at least one of these for myself. Copper is a natural slug deterrent, and they do have some nice copper plated trowels, cultivators, etc. The copper is supposed to fleck off from your tools when you use them and it sends slugs running! The not so great thing is that these tools start around $60 apiece– hmm, um Santa?! 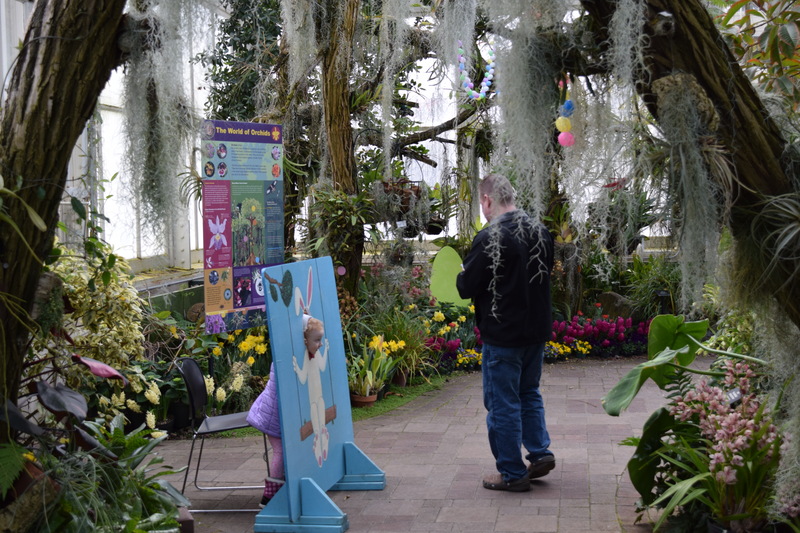 Gardening Books— master gardeners have spent a lot of time learning in and out of the garden. Why not give them something to feed their appetite for gardening know-how? Plants, bulbs, etc. — you can give these to any level gardener, but when you have years of gardening experience under your belt, you really come to appreciate different specimens of plants and want to add to your collection! Large brimmed hats, water bottles, pocket knives, garden boots and clogs — all very important in the gardening process. Now, trust me, just to have some fun, I split gardeners into levels. I can tell you that anyone who is interested in gardening will love any of the above gifts. There are no designated levels of gardening, and that’s what makes it beautiful. So, what’s on my list? 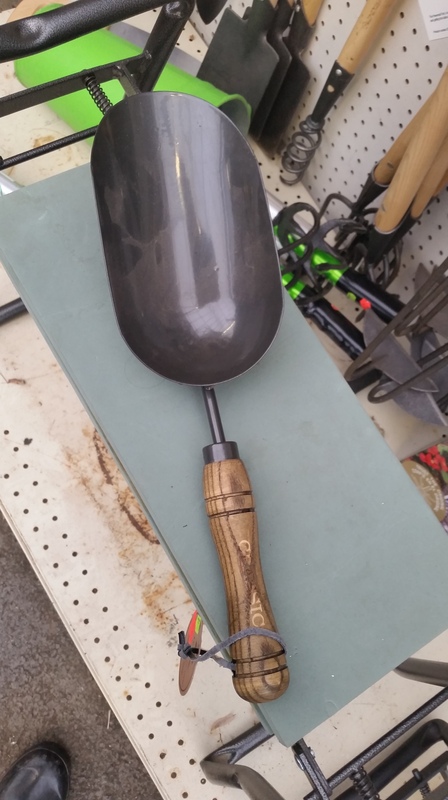 A potting soil scoop — I didn’t even know they made these until last week! I saw it in the garden center and would jump for joy if I got this for Christmas. 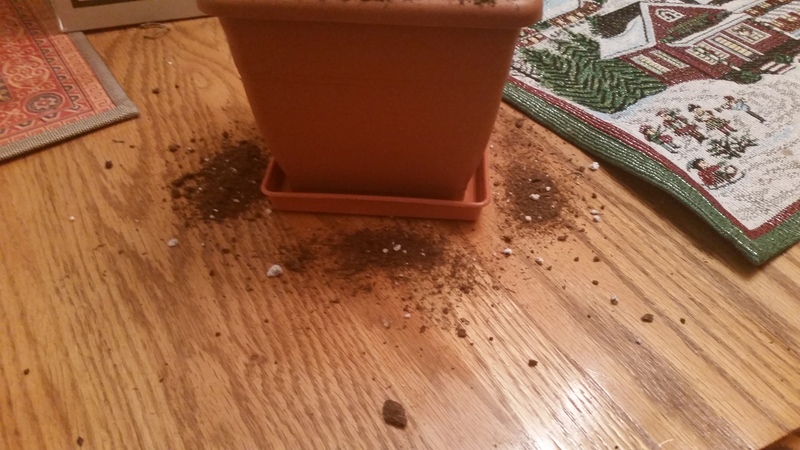 I am sick of spilling potting soil all over when I re-pot plants. Soap— I saw this display of soaps and thought about how nice it would be if my hands didn’t get so dried out after digging in the dirt. 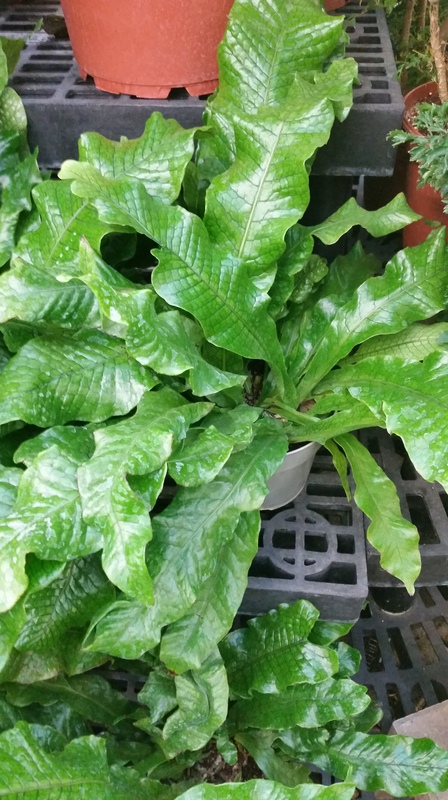 Plants— I turn my attention to houseplants in the Winter. (Posts to follow!) I love Ferns. I love the simple beauty they possess. Ever since I saw an alligator fern at the botanical gardens, I have wanted it. When I happened upon this at the garden nursery today, I wanted to squee with joy! 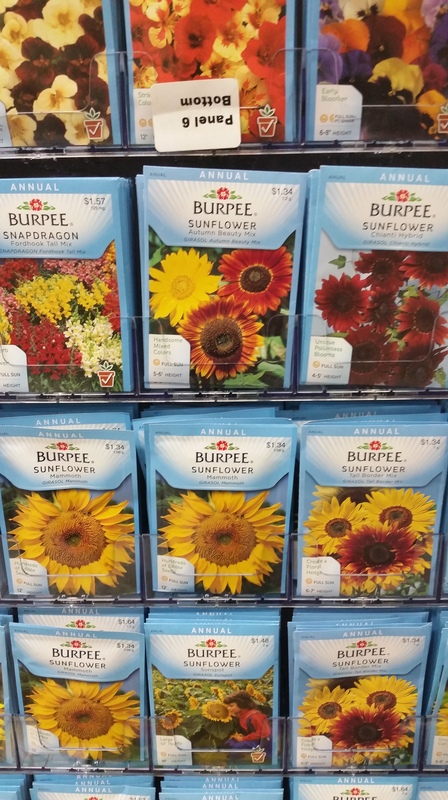 So, no matter what you gift to your favorite gardener this holiday season, it will sure to be a hit! 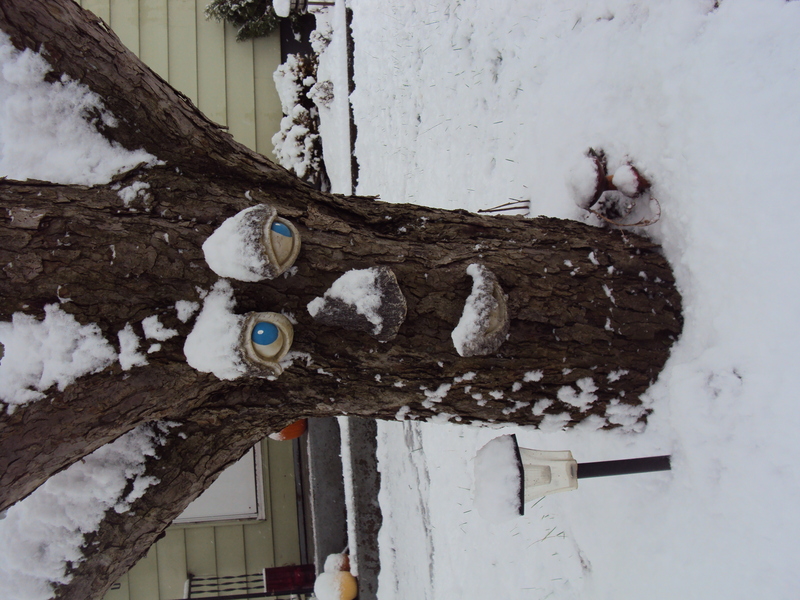 “Spruce” up your Winter Decorating! I can’t believe the first week of December is already over! Unfortunately, it’s going to go much faster than I would like it to go. My work schedule is crushing me this month, so I thought I better prioritize my responsibilties a little better. I have to go out-of-town this coming week for work, so this meant I must try to get my Christmas shopping and decorations up as soon as I could, or it wasn’t going to happen at all! I am happy to say that I feel good about both tasks, so now, all I have to do is concentrate on my up coming schedule. I should be in the clear by week’s end (hopefully). As I was running into Walmart to pick up some Christmas presents I ordered online this past Tuesday, I was very surprised, and actually a bit relieved in regards to what I had found. It was two bundles of evergreens, and it truly had made my day. By the way, yes, it was Walmart I found these in. Normally, I would go to my farm store, but with time and schedule restraints, the supercenter that is less than five minutes from my house trumped all other options this week. I was pleasantly surprised to see they were even selling them. Thanksgiving weekend had me frantically hiking through the woods around my neighborhood to find some spruce branches, but unfortunately, there were very little for me to get. Spruce, Fir and Pine trees are all conifers. 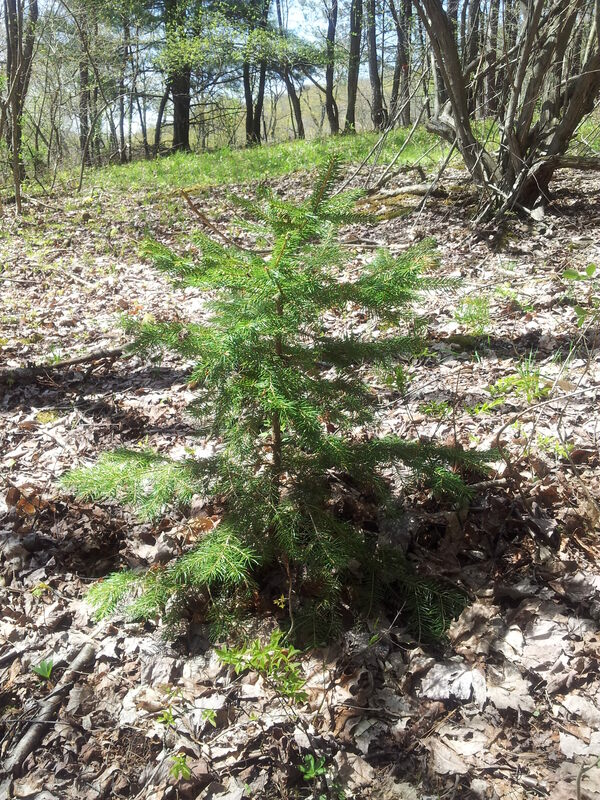 Conifers are trees or shrubs, mostly evergreen, that have needle-like or scale-like leaves. Conifers are the quintessential Winter decoration. I love them. I decorate with them up right up until Spring. I love the look of Spruce/Pine branches with pinecones. So, how do you tell the difference between them? I learned a lot about trees, especially Pine, from my father, who could tell you every different kind of tree. As a boy, he planted over 3,000+ trees for a 4-H project. 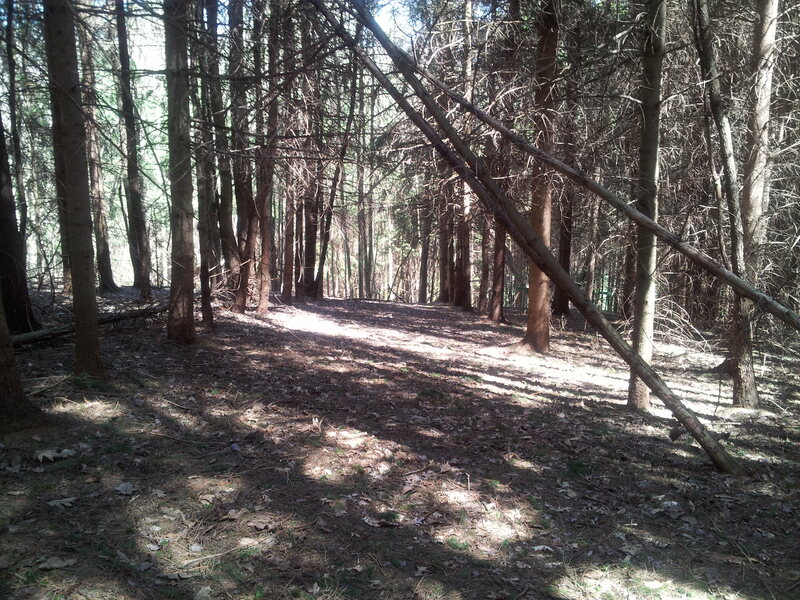 Those are the woods I grew up playing in. So now, I can finish decorating my urns out front of my house. 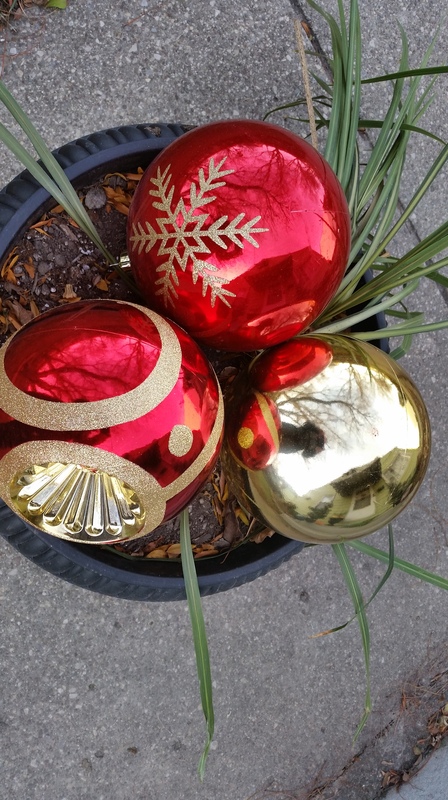 I got some huge ornaments that are supposed to go in a tree in your front yard, but instead I used them for my urns. My hands were freezing! It was 29 degrees! I inserted the hook part into the dirt in my urns to secure them from the wind. As you can see, I still had some spike plants from summer in there. I actually had to get my trowel out to get them out! The root systems were enormous! My spike plants that I will talk more about in future posts. 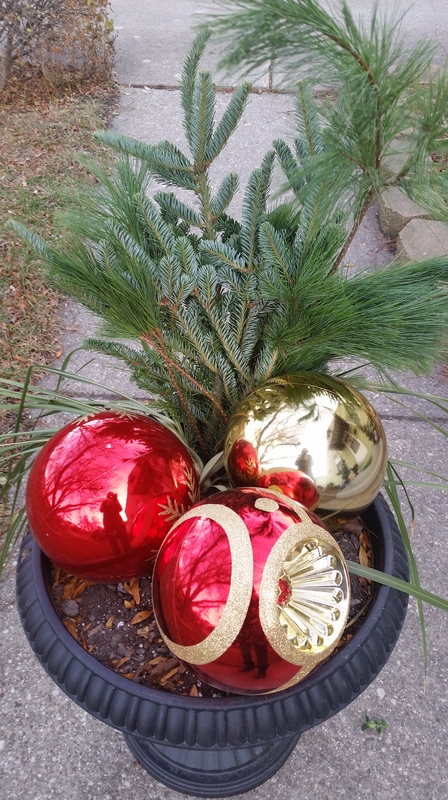 I took my evergreen “bouquets” and inserted them in the urn for a “quick and dirty” holiday decoration. I want to emphasize that creative decorating does NOT have to be expensive. Really cool decorations can be created with different items just hanging around your house! And nature, of course! 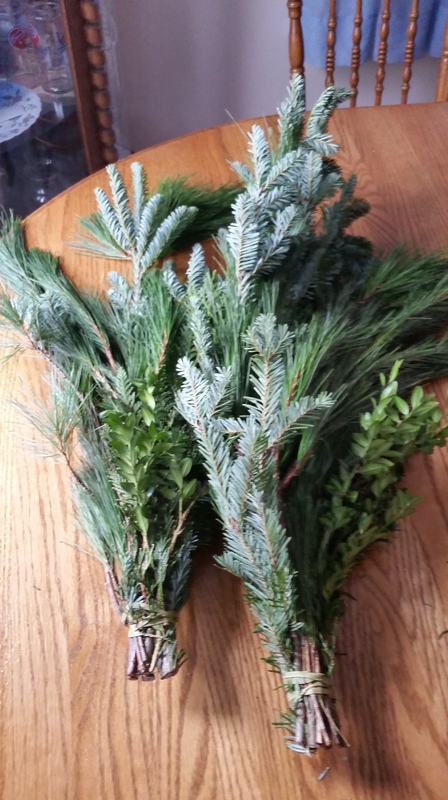 I purchased these evergreen bundles for $4.87 a piece. So, I did not spend much at all. Yes, I will be foraging for more spruce twigs as winter goes on, like I did last year while snowshoeing. My snowshoe excursion in search of spruce and fir branches. You can also decorate with them inside. 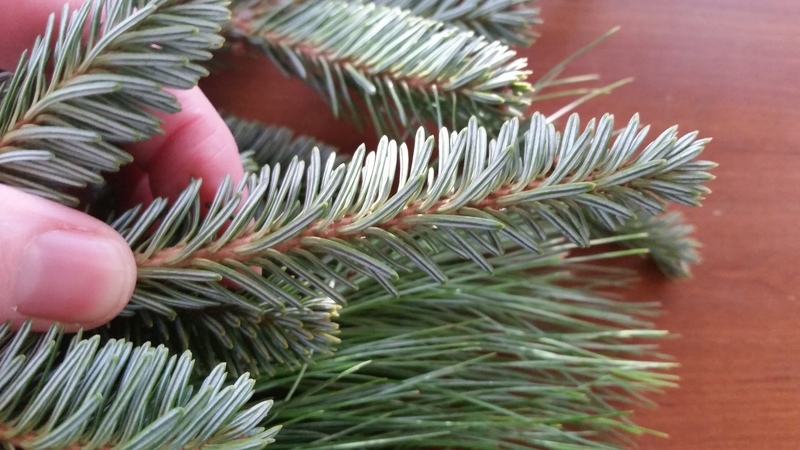 When decorating with spruce, pine or fir in your home, please make sure you WATER them often, or the needles will fall all over. They create quite a mess. Lesson learned from last winter! I hope you get a chance to decorate with conifers this holiday/winter season. Just taking a walk on a snowy path through the woods to find them can be wonderful. 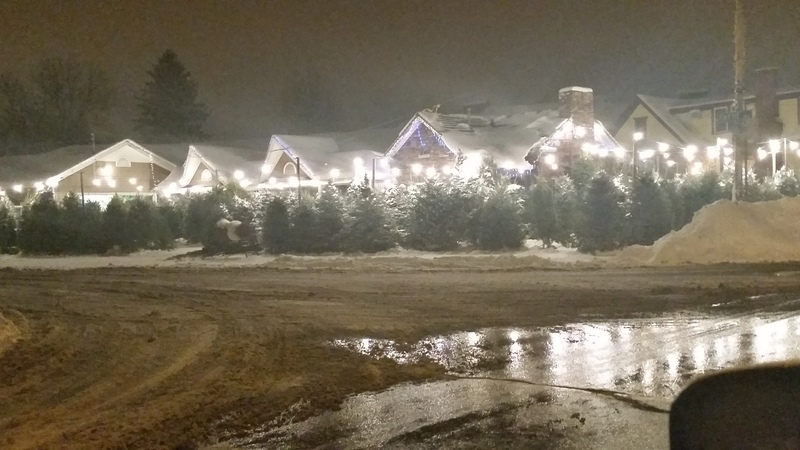 Who doesn’t love the smell of spruce or pine in the winter? It’s very inviting and homey-feeling. 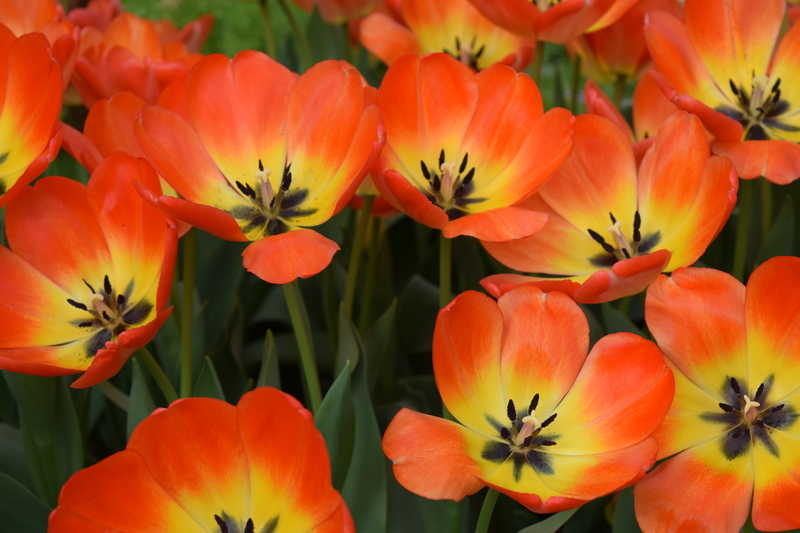 Consider planting a smaller or dwarf version in your yard if you do not have a big backyard. They are an excellent example of winter interest as well! So, quit “pining” for summer when winter has its perks as well!